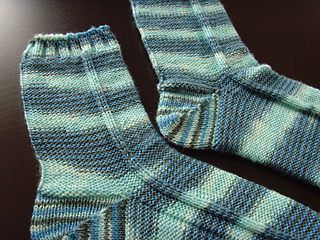 These socks are really fun to knit and wear - the reverse stocking stitch makes them appear to be inside out, and the resulting texture will show off variegated yarns beautifully. 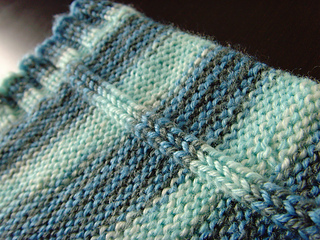 The short row heel and toe use stocking stitch, however feel free to use a heel flap if desired. 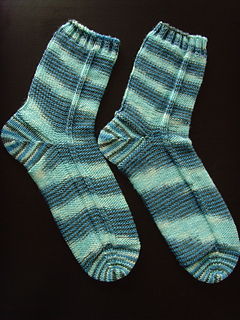 Above all, have fun with these socks!